This course is the most “Direct and To the Point” course for ANY guitar player to watch and learn. 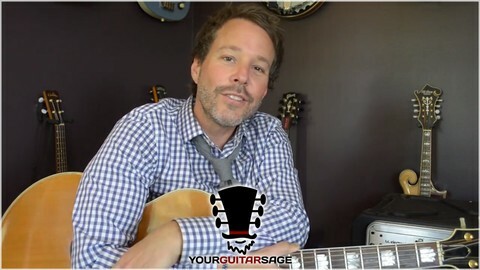 Finding 2 Hours of Quality Guitar Lessons that can be accessed anywhere for FREE and at any time of the day is hard to come by these days. This free course solves all of those problems. Establishing solid core practice habits helps the speed of your results and also the quality of your results. The built in learning center allows you to track which videos you have or have not seen or watched. This is a great feature that gives the student the ability to learn at their own pace. Still undecided? Check out the value that’s in this course. 23 Lectures equals out to be 6 hours of one-on-one lessons with Erich. That holds a value of $600 ($100/hr) and you get all of these videos, lectures, and PDFs for FREE. Start your guitar journey today!